Our monthly meeting is Wednesday October 19th at the Aksarben Aquarium. Our featured speaker this month is local Fisheries Biologist, Daryl Bauer. Daryl will be highlighting some of the great fishing opportunities in the Cornhusker State, as well as the newest Nebraska fishing programs. 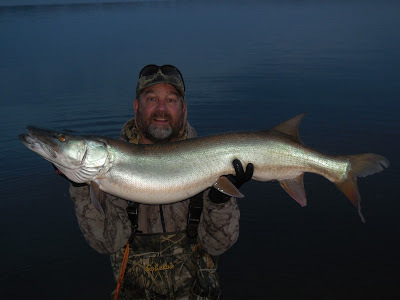 Be sure to check out Daryl's blog Barbs and Backlashes for the latest information on our state's fisheries. And don't forget about our Fly of the Month for October, the Royal Wulff. Be sure to bring your best rendition to the meeting. Doors open at 6:30, and the meeting starts at 7:00. As usual, we'll have great raffle prizes and plenty of fish talk. We hope to see you there! The following Saturday, October 22nd, we have our last "Fish-in" of the year at Holmes Lake in Lincoln. We'll have club members at the lake from 10am-2pm. Plenty of rainbow trout will be stocked in the lake by then, and they'll be hungry! Click Here for directions to Holmes Lake. 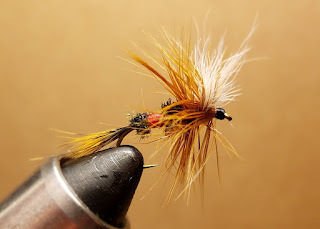 Follow the yellow Cornhusker Fly Fisher signs to meet up with club members. Don't forget your fly rod!